Do you ever wonder what the world would look like if humans hadn’t developed large parts of it? In Europe, nature never really had a chance at continuing its dominance of the landscapes. But if we had left it alone, it would have been the beech trees that would have conquered the continent. Beech trees are quite predatory by nature because their leaf canopies block the sunlight almost completely. 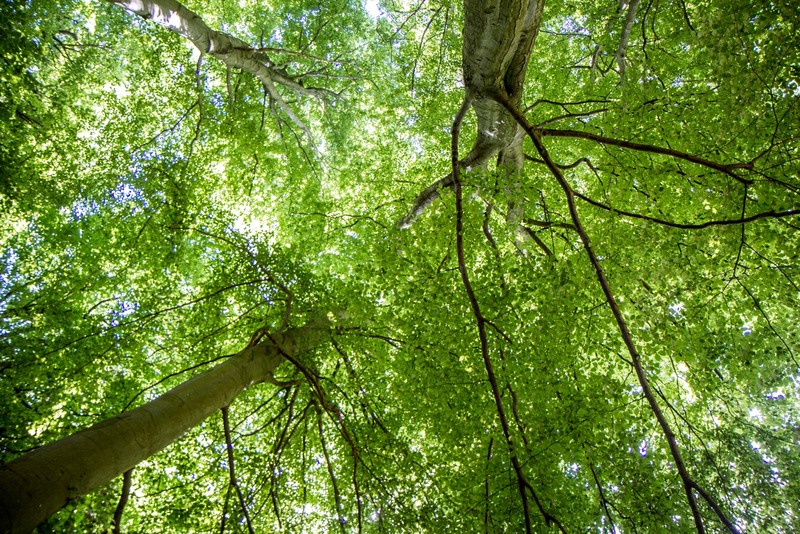 This means that it’s difficult for other plants to grow underneath them and only certain non-threatening species can survive in the beech forests. For this reason, they were able to spread quickly and took over the European continent. 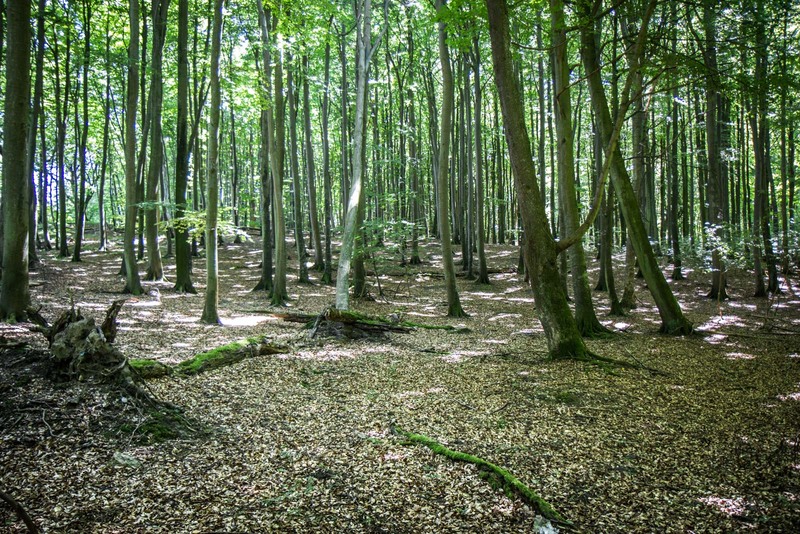 The centre of these forests was in Germany and the beech trees were the original native vegetation after the last Ice Age. It’s here that you can get your best glimpse today at the trees as they once were. Be warned, though, there’s not much left. 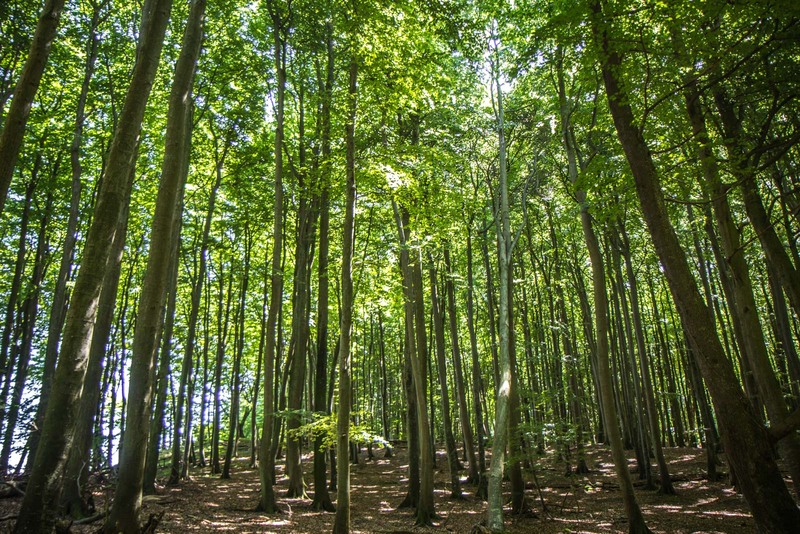 Because the wood is great for fires and construction and the land on which they grew was needed for development, the beech forests been reduced to just 0.02% of their original size in the past two centuries. 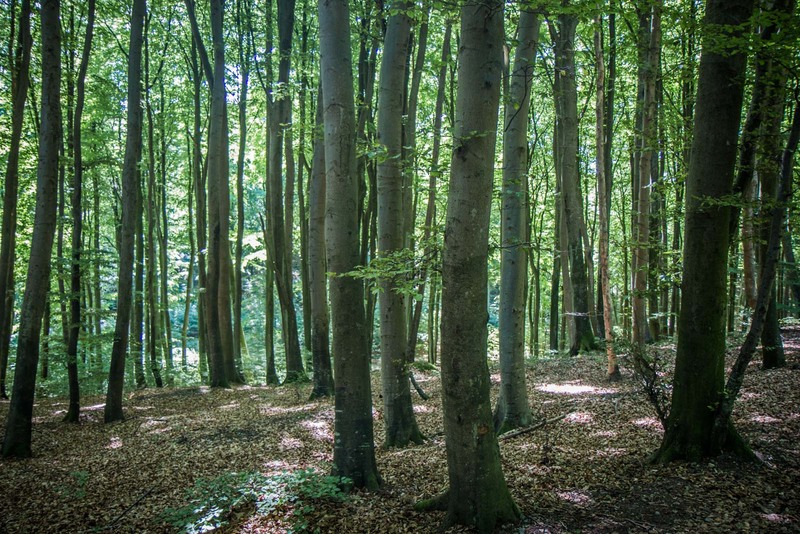 In order to preserve what is left of the beech trees, much of the remaining forest has been protected by the German government – and has now been given heritage listing by UNESCO. 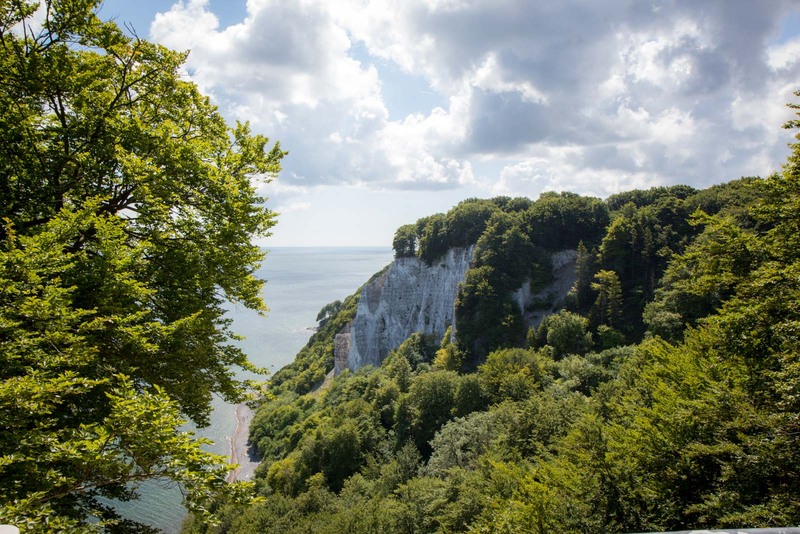 Five specific reserves in the country have been declared part of the World Heritage Site – Jasmund National Park, the Serrahn section of Müritz National Park, Grumsin Forest, Hainich National Park and Kellerward-Edersee National Park. 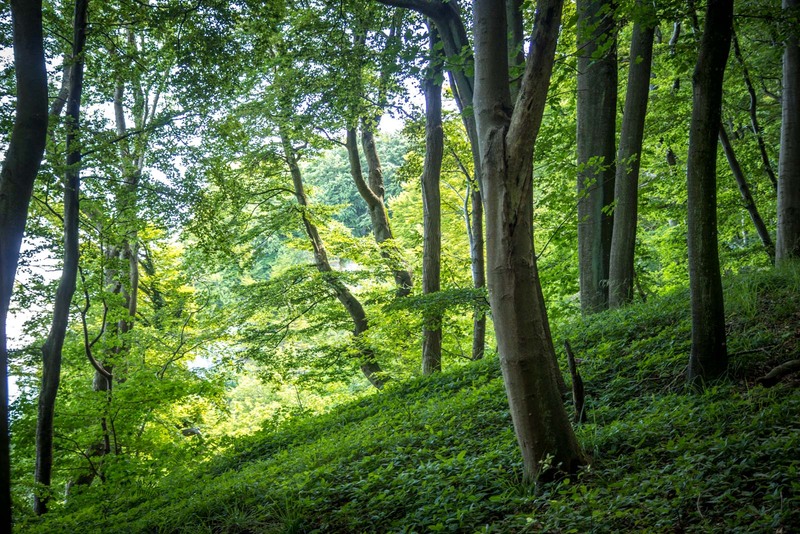 Despite the shadowlands that beech trees create under their canopies, more than 10,000 other species of plants, animals and fungi can be found in the forests that remain. It’s for this reason that they’re not just significant, but fascinating to visit. All five of the protected areas in Germany offer a variety of experiences. From the white cliffs and coastal breeze of Jasmund National Park through to the inland mountain ranges of Kellerward-Edersee National Park. 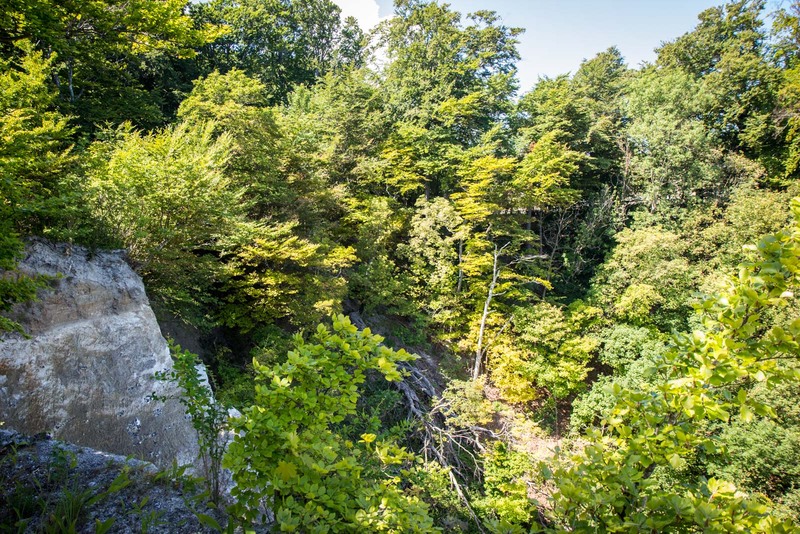 There are hiking trails and recreation facilities in all the parks and some of them have modern and informative visitor centres with detailed information about the remaining beech trees and the forests that once covered the country. One of the best information centres is at Jasmund National Park – and this is the one I visited. It has an excellent video presentation and a detailed museum with facts and figures about the forests. There are also guided tours and talks from local experts. Where is Jasmund National Park? Stubbenkammer 2a, 18546, Sassnitz, Germany. When is Jasmund National Park open? How much does it cost to visit Jasmund National Park? Entry to the park and visitor centre costs €7.50 for an adul and €3.50 for a child. You can also buy a family ticket for €15. How do you get to Jasmund National Park? To get to Jasmund National Park, catch the train to Sassnitz and then take the shuttle bus, which takes about 20 minutes. Where should you stay near Jasmund National Park? There is a good variety of accommodation offerings on Rügen Island that would work as a base to see the national park. For a good budget option, I would suggest the DJH Hostel Prora which is on the beach. A lovely and affordable hotel right near Jasmund is Parkhotel del Mar. There is a wonderful design hotel called Cerês in the town of Binz. And if you want to splurge, have a look at Romantik Roewers Privathotel with spa and pool. While you’re at Rugen, go for a ride on the old steam train called the Rasender Roland. 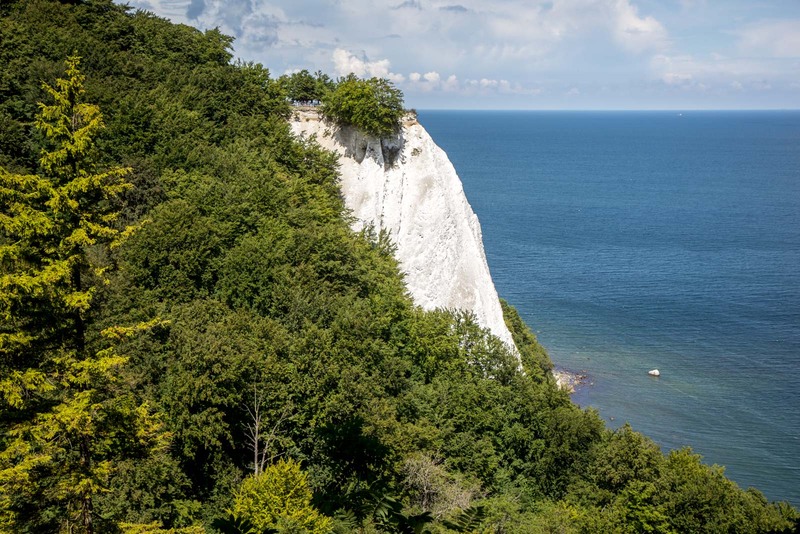 You can find out more information at the official website for Jasmund National Park. Wow, striking numbers on how much the beech forests have diminished over time. That’s great they are being preserved here. They’re beautiful! I love how the forest floor can look so clean, not used to that in Australia. Yeah, not much can grow under these trees because of the shade so that helps keep it clean. I’m not sure if the leaves fall much in summer when I was there, so that probably has an effect too. It is a beautiful place to stay. I was in jasmund, a few days ago. It is always worth a visit. In Prora is a treetop path and on the top, over the trees, you can watch to jasmud and over the whole island ruegen.